BENTON HARBOR, Mich (August 25, 2017)– Whether embracing the chill of the holiday season with an icy drink or preparing a piping hot beverage to enjoy by the fire, four versatile coffee appliances from KitchenAid are sure to satisfy even the most demanding coffee lovers. 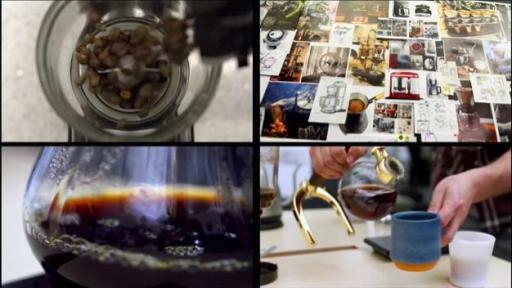 They include the new Cold Brew Coffee Maker, Precison Press and Burr Grinder. This holiday season, give loved ones the tools they need to create the high quality taste and experience of coffee shop beverages in the comfort of their own home. 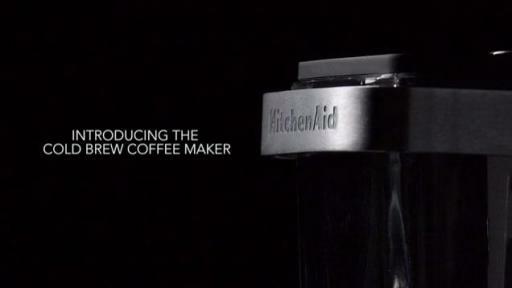 Further information about the products can be found at http://www.kitchenaid.com/countertop-appliances/coffee-products/. 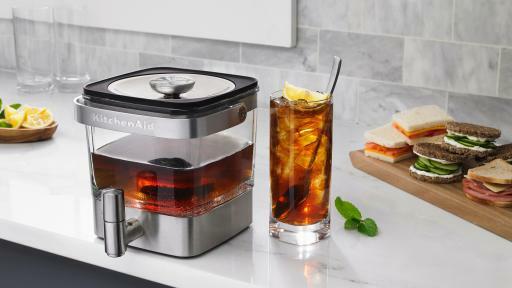 For those who enjoy an icy cup of cold brew coffee, the new KitchenAid Cold Brew Coffee Maker is the perfect gift to get them brewing at home. The thoughtful and streamlined design allows for easy home brewing in three simple steps: grind, brew and pour. The model’s no heat brewing method steeps coarsely ground coffee in cold water for 12-24 hours, resulting in a smooth and balanced flavor that can be enjoyed all day. Capable of making up to 28 ounces of concentrate at once (or approximately 14 average single servings), the resulting brew is best enjoyed by combining 2 ounces of coffee concentrate with ice and the option of milk and sweeteners. Designed with a modern glass brew jar and sleek stainless steel tap, the cold brew coffee maker serves as a stylish addition to any kitchen countertop, while the compact footprint provides an ideal fit for a refrigerator shelf or door for easy dispensing straight from the refrigerator. A reusable stainless steel steeper allows for custom beverage brewing, aided by a fill guideline that takes the guesswork out of the process. The easy to clean glass and stainless components help to preserve taste in combination with a fitted lid that ensures freshness of the coffee concentrate. 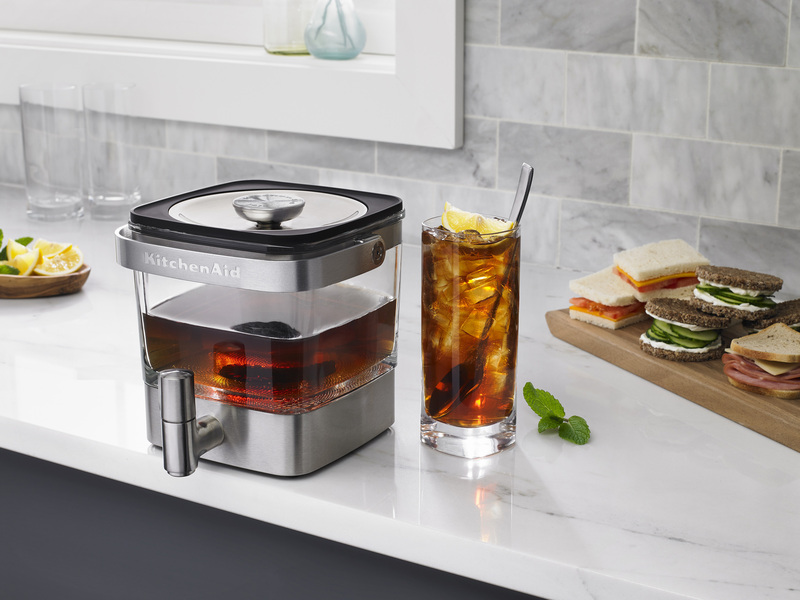 The KitchenAid® Cold Brew Coffee Maker is available now in stainless steel at a suggested retail price of $129.99. On the hunt for the perfect gift for a coffee perfectionist in your life? Look no further than the KitchenAid® Precision Press Coffee Maker. 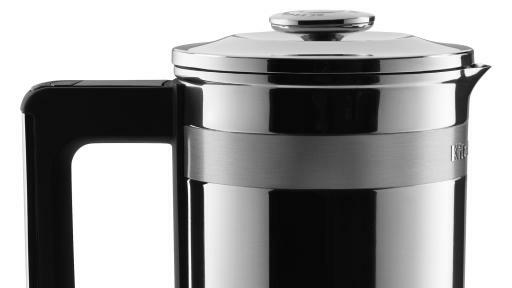 Delivering the exceptional flavor of traditional French press coffee through a simplified brew process, this coffee maker helps optimize flavor without requiring the skills of a barista. Equipped with an integrated scale, the Precision Press refines the class brew method by measuring coffee and water by weight instead of volume. The timer and digital display incorporated into the handle provide a quick and convenient read of steep time. 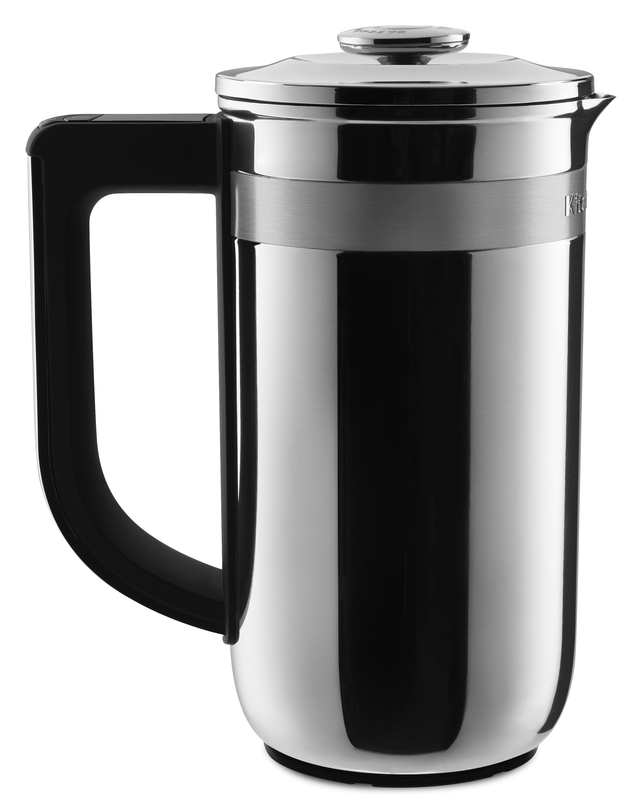 Designed with dual stainless steel construction, the 30-ounce carafe provides long-lasting heat retention. The cordless design allows for easy cleaning and reduced countertop clutter. The Precision Press Coffee Maker is available now at a suggested retail price of $149.99. For those looking to take home brewing to the ultimate level, a Burr Grinder is a great way to give them complete customization of their morning coffee. The KitchenAid Burr Grinder features a sleek, die-cast metal design and 15 grind settings for French press, pour-over, drip coffee, espresso and anything in between. The glass bean hopper holds up to 7 ounces of grinds, while stainless steel cutting burrs offer both durability and powerful performance. The Burr Grinder is available now in Contour Silver, Empire Red and Onyx Black with a suggested retail price of $299.99. Since the introduction of its legendary stand mixer in 1919 and first dishwasher in 1949, KitchenAid has built on the legacy of these icons to create a complete line of products designed for cooks. 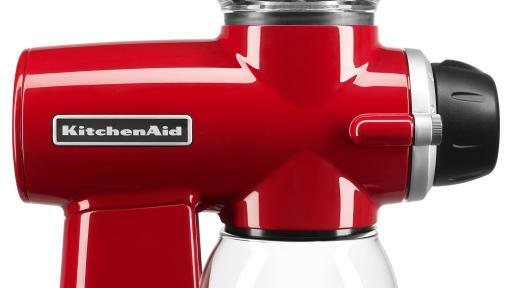 Today, the KitchenAid brand offers virtually every essential for the well-equipped kitchen with a collection that includes everything from countertop appliances to cookware, ranges to refrigerators, and whisks to wine cellars. Cook for the Cure®, the brand's partnership with Susan G. Komen®, is now in its 15th year and has raised over $10.7 million to help find a cure for breast cancer. 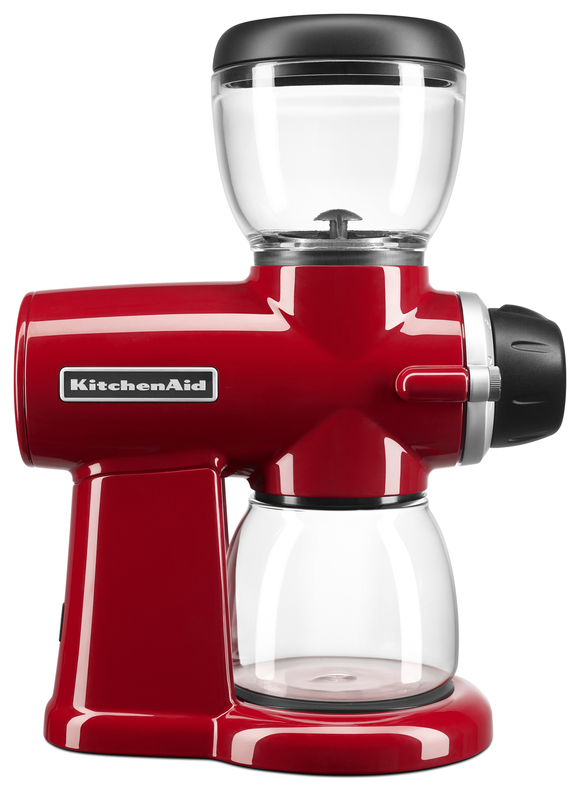 To learn more, visit KitchenAid.com or join us at Facebook.com/KitchenAid and Twitter.com/KitchenAidUSA.